Welcome to the website for Reserve at Clear Lake Community Association. Whether you’re looking for your first family home, moving up to a larger home, or seeking the convenience of a patio home, The Reserve at Clear Lake City features a variety of beautiful homes and amenities to complement your lifestyle. The Reserve at Clear Lake City is located in the thriving Bay Area community where shops, restaurants and recreational activities are abundant. 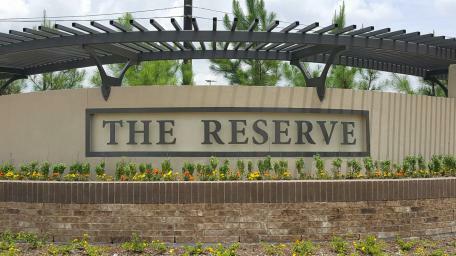 Situated east of the Gulf Freeway and south of Sam Houston Parkway (Beltway 8), residents are just minutes from both the coast and Downtown Houston. The Board of Directors meets on the third Thursday of every month at 3:00 p.m. Meetings are held at Trendmaker’s offices located at 16340 Park Ten Place, Suite 250, Houston, TX 77084. The date and time are subject to change, however the meeting agendas are posted here at least 72 hours prior to the meeting. The Annual Member Meeting is held in December every year. Notices are mailed to all owners 10 to 60 days in advance of the meeting.